John Michael Shelp passed away unexpectedly Friday October 12, 2018 at Banner Health Care in Worland. John was born June 25, 1942 in Rapid City South Dakota where his father was building the airport. He was the son of Lynn F. and Anna R. (Peckham) Shelp. John’s childhood was spent moving around from one of his dad’s construction jobs to another. They spent time in South Dakota, Colorado, Utah, and Wyoming. As a young boy he spent summers on the family farm in Bristol South Dakota. When he was old enough to work construction he spent summers with his father on the construction site running Norwegian drag line (shovel). The family settled in Thermopolis Wyoming. John attended high school in Thermopolis where he was a heavy weight wrestler. 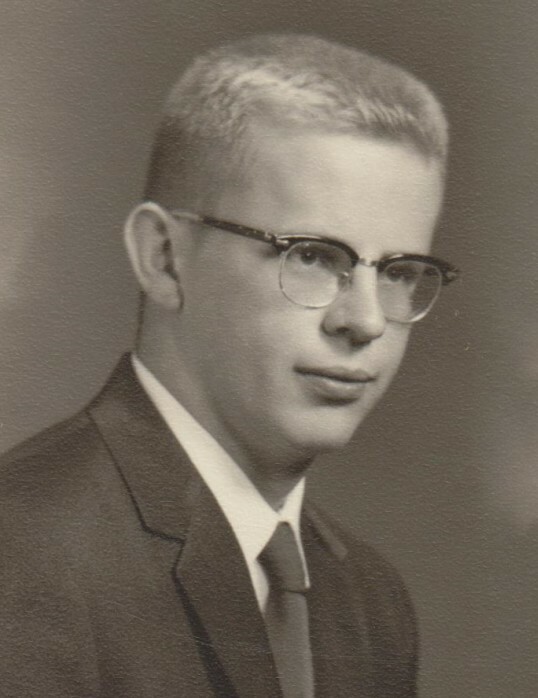 He graduated from high school in 1960. During high school he met the woman who would be by his side for 54, years Wanda Jean Freudenthal. During their courtship he spent a great deal of time at the Freudenthal farm which became much like a second home and Wanda’s siblings more like family than in-laws. They married after she graduated from high school. John attended Casper College and Black Hills State University in Spearfish South Dakota. To help pay for college, he worked at his Uncle Joe’s bakery. He was up at 4:00 a.m. to make the donuts before going to class. After graduating from college, John went to work for the Social Security Administration. The next 6 years generated twenty-one relocations. They returned to Wyoming in 1970 and settled in Worland. In 1979 John and Wanda became small business owners. They purchased Davis Lumber from Jim Davis. After several years in business, they turned the lumber yard into a full service Home Center in a new location on Road 11. John became unemployed after selling Davis Lumber in 2000. He was the father to four children: Cheri (Wayne Reid), Daron (Wendy), Roger, and Jack (Michelle). Ten grandchildren and two great grandchildren kept him busy. He enjoyed quizzing them with questions about history. He was a history buff and always had a story to expand on the history question he had asked. The dinner table would often turn into a history lesson with the encyclopedias taking over the table. Although he was busy with the lumber yard, there was always time for his hobbies. His passion for Draft horses was life-long. Through the years he owned several teams from Belgians to Mules. He took great pride in building and refurbishing wagons. He came home from auction one day with what he said was a carriage but it was mostly parts and pieces in 5 gallon buckets. Five years later he had created a beautiful carriage fit for Central Park. For several years he would spend a week on a wagon train. After he returned home we would gather to hear the stories from the wagon train. John is survived by children Cheri (Worland, WY) and Jack (Gillette, WY), his brothers Phil (Dallas, TX) and David (Reno, NV) and sister Jeanne (Billings, MT), ten grandchildren and 2 great grandchildren and nieces and nephews. He was preceded in death by his wife Wanda Jean, two children Roger and Daron, his brothers Richard and Glen and his parents. A memorial will be held Monday October 22 at 11:00 am at his barn 1338 Hwy 20 South. The big red barn was one of his favorite places to spend time either working on wagons or visiting with friends and showing off his collection of wagons. Inurnment will take place at a later date at Riverview Memorial Gardens, Worland, WY. In lieu of flowers, donations can be made to the Washakie Museum 2200 Big Horn Ave, Worland, Wyoming 82401. Arrangements have been entrusted to Veile Mortuary.